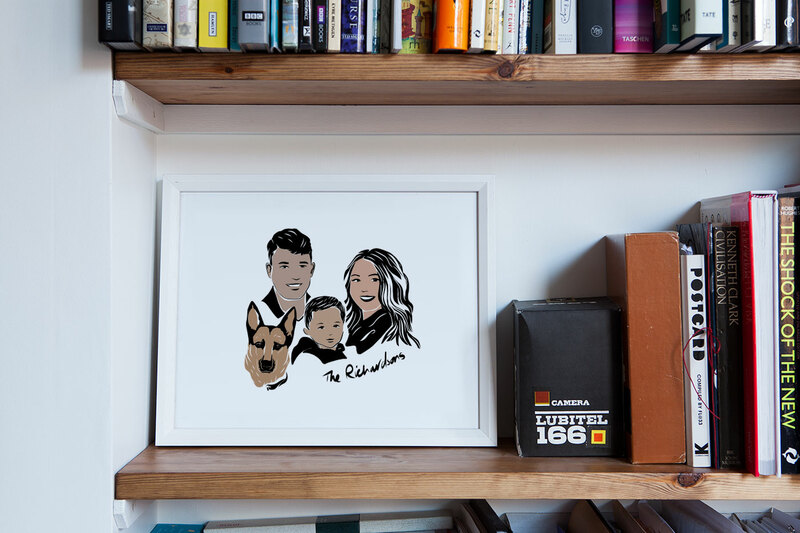 Capture their character with a contemporary personalised portrait created especially for you or your loved ones. 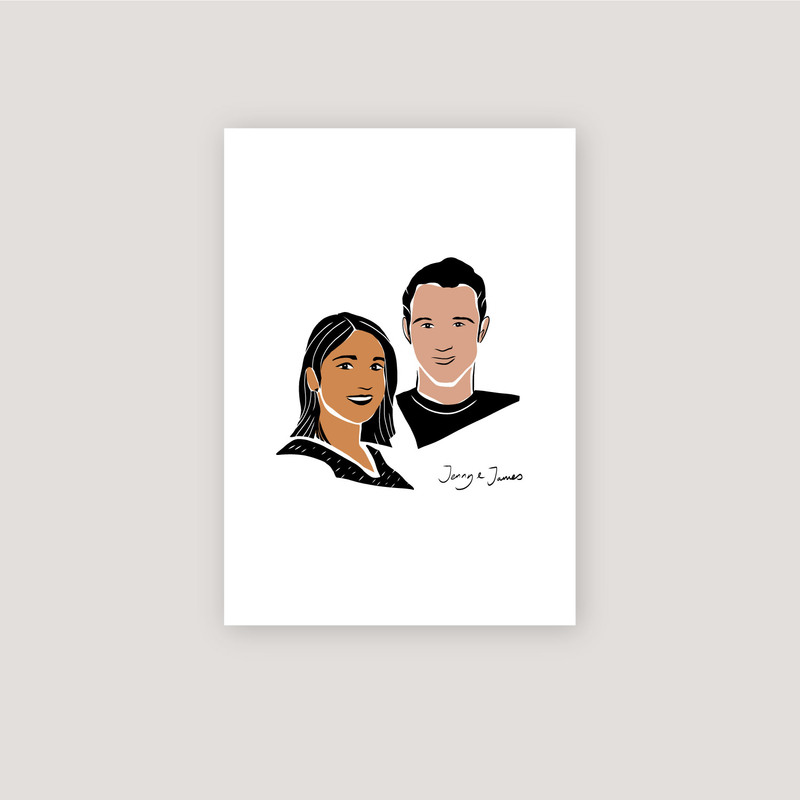 This custom print is the perfect gift for your other half as an anniversary, birthday or Valentines day gift. You could even send it to a happy couple to celebrate their wedding day! Working from a photograph I can create a unique and beautiful drawing for you to cherish forever. Find instructions on what to do once you’ve placed you order here, or contact me if you any questions beforehand. 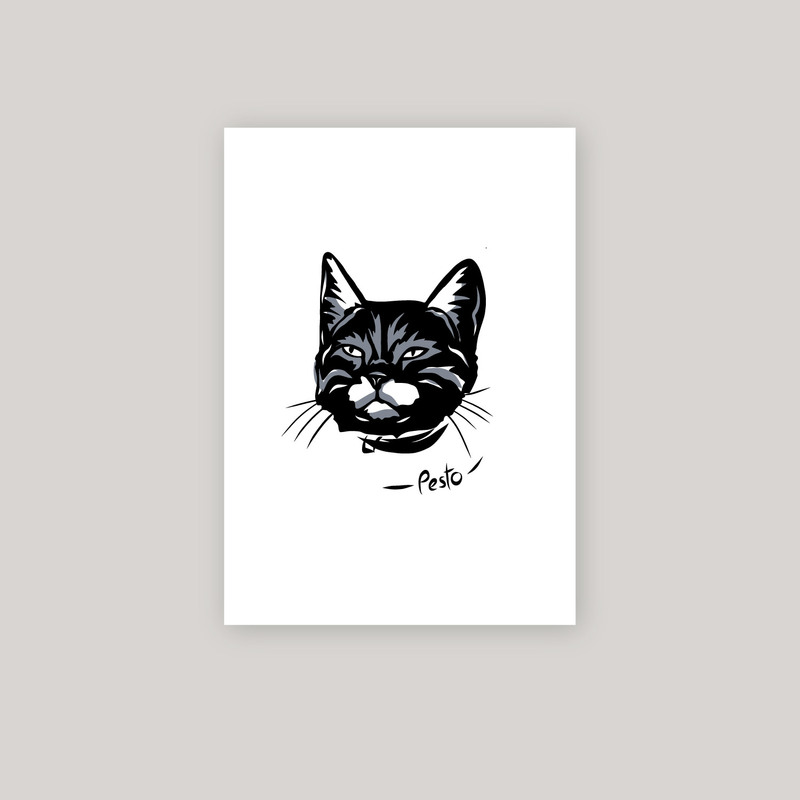 Select below the size of print and the number of faces (human or furry) you would like.